We have a Dutch tradition, Sinterklaas. It is on December 5th; a tradition of tossing things. Out. Of the window. And after that, for Christmas, another pile. I am talking about gift wrapping. With the help of fabric, I want to try and half that pile, this year, and possibly the next years too? It is wat is inside that matters! In order to halt that afore mentioned pile you could of course reuse the wrapping paper. Also there are plenty of wrappings available that you can arguably use again. But made of paper you will see wear on them. Also, this year our family needs to fly with our presents. So even if we do use new wrapping paper it will look second-hand by the time we unpack! 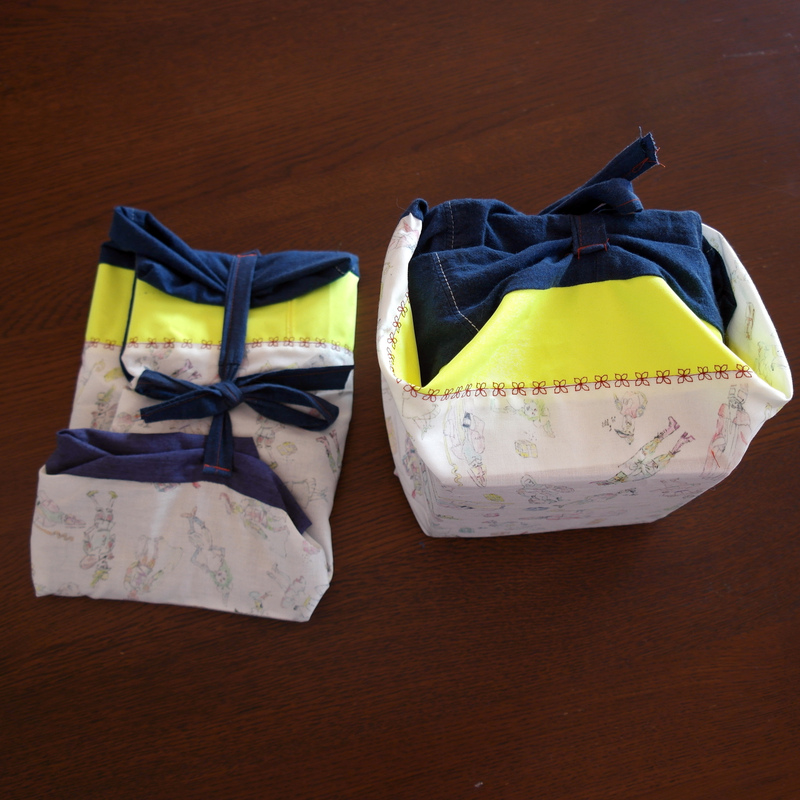 So I am going to use fabric bags to wrap the gifts in. And because of the important part of unwrapping, I need at least a 3 second delay between trying to open the gift and having the gift in your hand. Therefore I will be making the closures a little bit fiddly. Make a zipper, hiding a zipper. Use twenty different buttons. I am thinking about stuff like that. Lets see if I can use bags but keep the anticipation of unwrapping? So, off I go in search of fun coloured fabric leftovers or used up clothing. As best I can I make a selection of bright colours and make sure I have enough meters. The sizes of gifts nowadays are notable, since there are more and more little kids in our family and the smaller the kids, the bigger the presents. Besides that, making teeny-weeny bags is no use, as the probability of fitting in next years gifts becomes smaller the smaller the bag is. Now, next up is your box of buttons, ribbons and other leftover things, make sure you keep it near. Yes, now you can reach out, find the colours on the bottom of your yarn box! Grab them patches of fabric you haven’t seen in years! Take them all out, baby! Now for some play-time behind my machine! 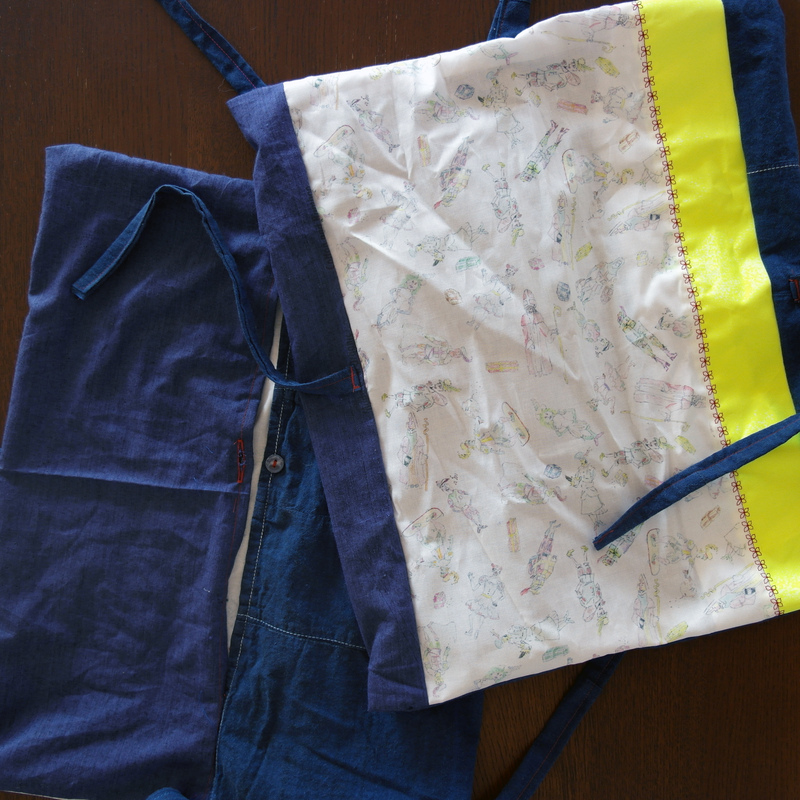 I am making two almost identical bags at the same time, “on the go” withouth much planning. Identical bags, in order to see how the bags work for different sizes of gifts. “On the go” because I like to give room to the unexpected side of this creative process. 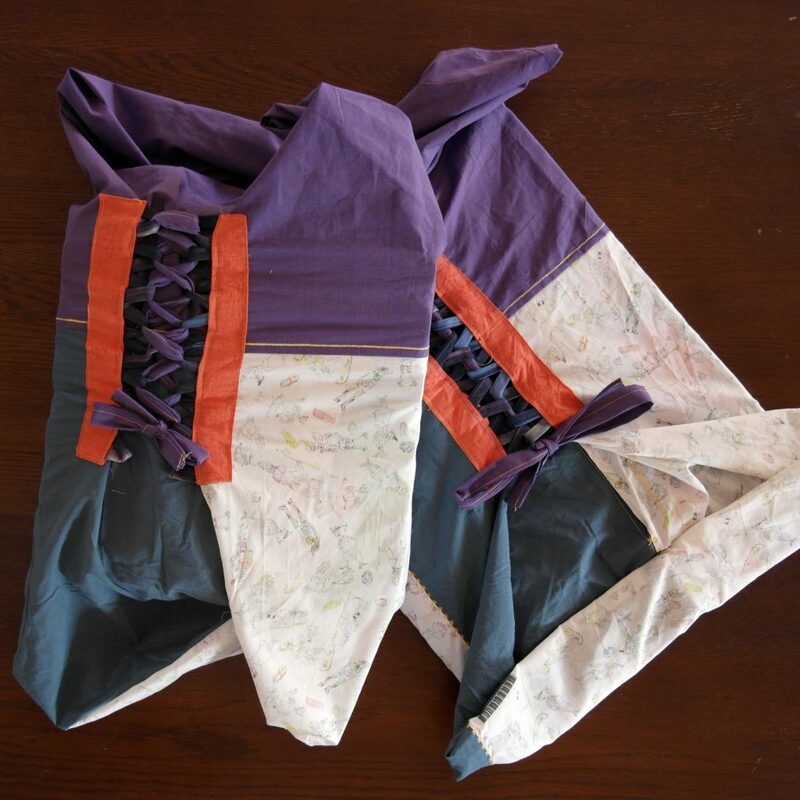 Identical patchworked bags, the Sinterklaas-pattern working together with the other fabrics nicely. Can you see the shirt I reused? Next up are two big bags, for big gifts. 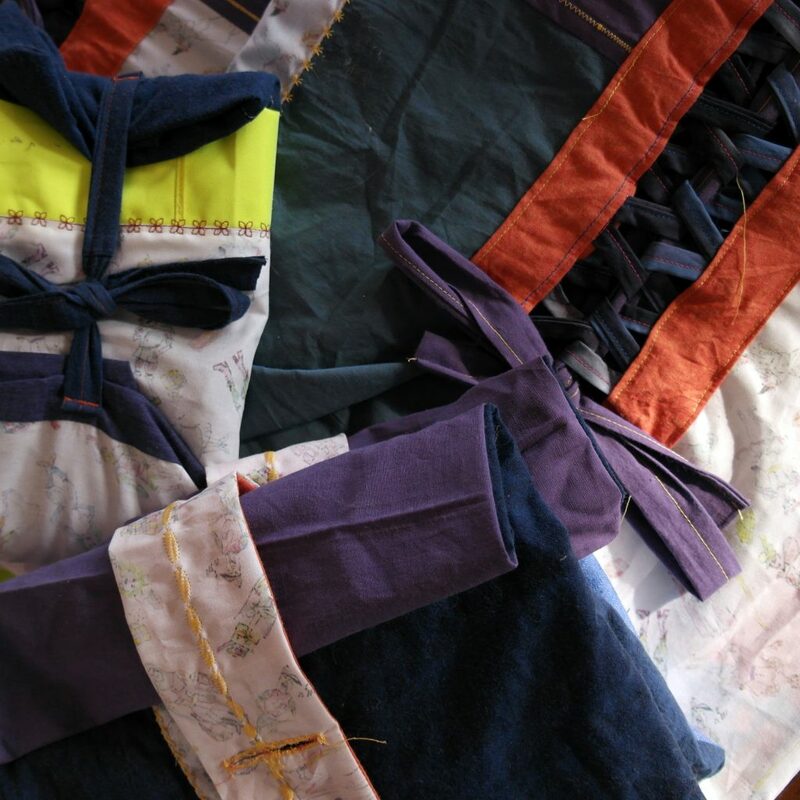 I want to make a kind of a corset-closure by stitching a two ribbons “zig-zag” on a piece of cloth, after which I stich it unto the bag. If you are also giving it a go, make sure the “entrance” of your bags are finished. I have put in an extra piece of fabric so you can not see inside before you have completely opened the bag. Lace it up! With these two I particular like the bow. 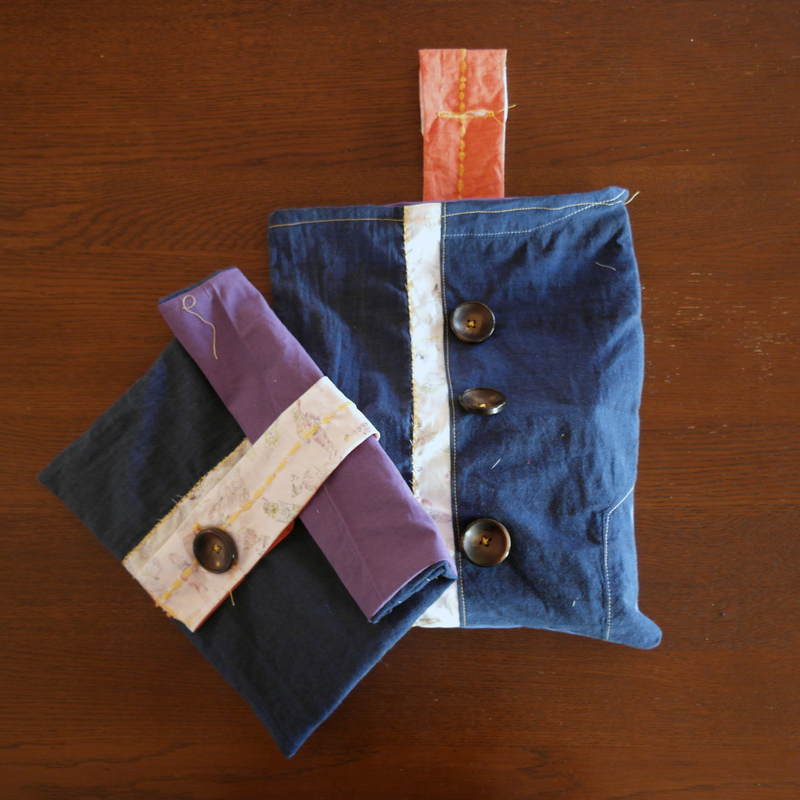 For some smaller items, I am making two enveloppe-style bags. They are very long, when I want them smaller I just roll over the opening of the bags and voila, a smaller bag! The row of buttons make that the bag can be made smaller. So, there will be a big pile of gifts, together with the paper wrapped gifts. I will hear in a week’s time what the unwrappers think of the presents like this. I’ll get back to you on that! 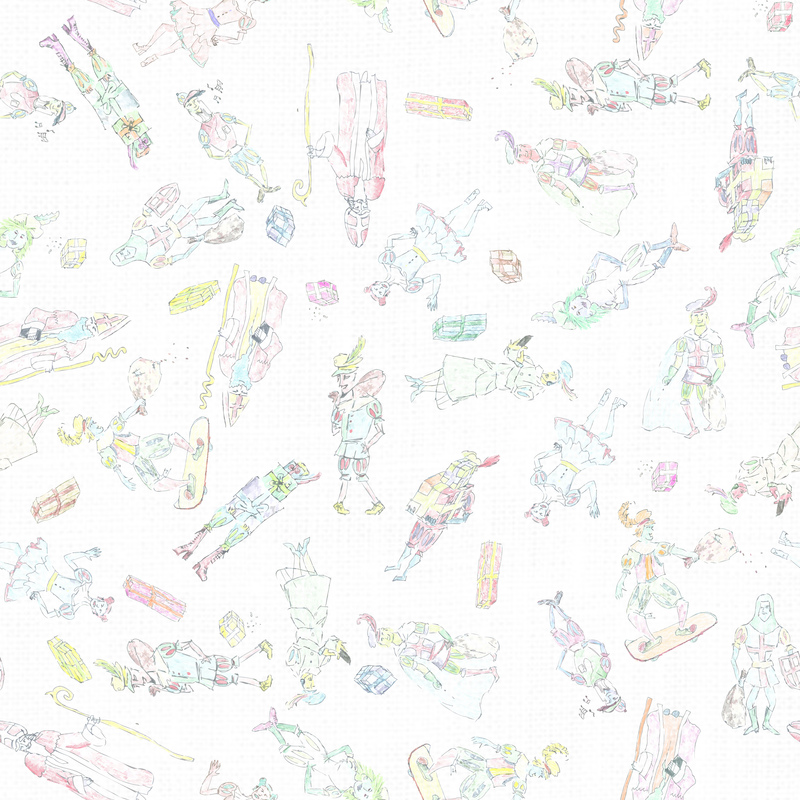 Top view of the pile of fabric gifts. Posted on November 27, 2016 by Marjolein. 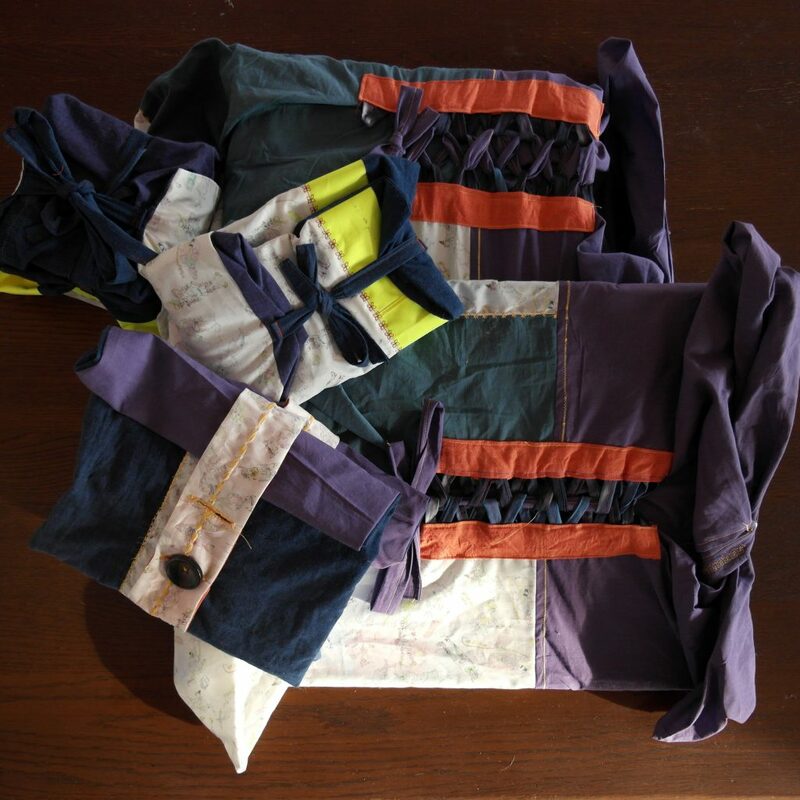 This entry was posted in upcycle and tagged fabric, gift-giving, handwork, inspiration, leftovers, reuse, sewingmachine, Sinterklaas. Bookmark the permalink.